For over fifty years, Alexander Terrell maintained a high profile in Texas. His public service career progressed from that of district court judge to military officer, legislator, and U. S. minister to Turkey. Born in Virginia on November 3, 1827, Terrell moved with his family to Missouri at an early age. There, he studied law and became a practicing attorney by the age of twenty-one years. When he moved to Texas in 1852, Terrell set up a law practice in Austin. A relative newcomer, he ran for district court judge in 1857 and unseated the established holder of that office in a bitter contest. Terrell remained as district court judge until 1863, when he resigned to enter Confederate military service. As head of a cavalry regiment, he fought in several major battles as part of the Red River Campaign in Louisiana. After achieving the rank of brigadier general, he chose self-imposed exile in Mexico at war's end, but soon returned to Texas. After Reconstruction, Terrell served in both the Texas Senate and House of Representatives. In spite of his public declarations declining his candidacy for re-election, he continued to be re-elected by record margins. In total, he served sixteen years in the state legislature. 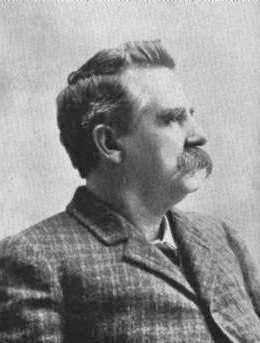 From 1893 until 1897, Terrell was named minister to Turkey under U. S. President Grover Cleveland's second administration. After his return from Turkey, the aging statesman became active in preserving the rich history that he had helped create in Texas. At his death on September 8, 1912, Terrell was serving as president of the Texas State Historical Association. He is buried in the state cemetery in Austin.